Attractive collection of Tiger Eye Orgone Cab at affordable price.This amazing cab is made from Tiger Eye gemstone chips.It is a stone of protection that is also very stabilizing and grounding. It enhances integrity, willpower, self-confidence, practicality and correct use of power. 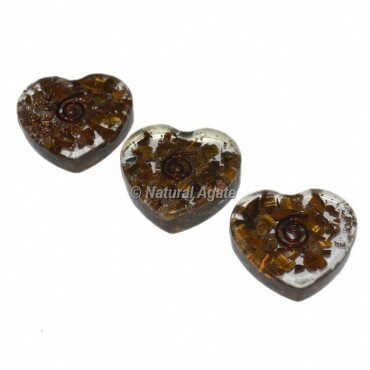 It is a stone that enhances good luck, and brings prosperity, often in the form of money.